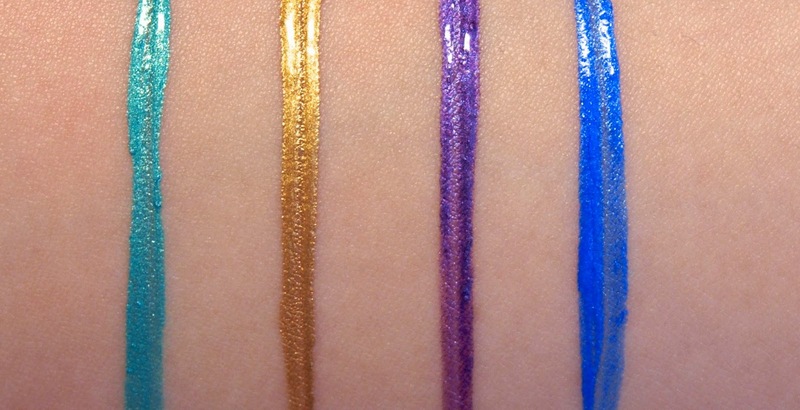 The liquid liners come in simple plastic tubes that each has its own felt tip applicator. 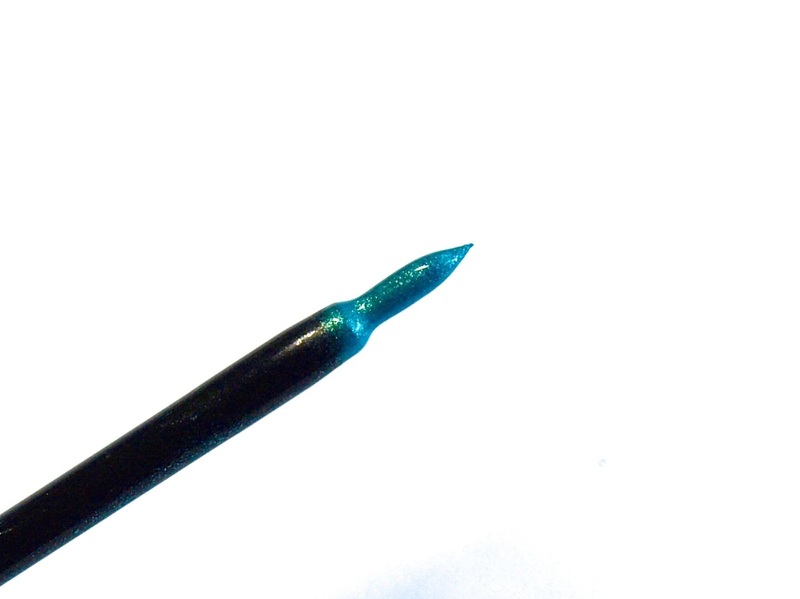 The tip of the applicator is quite fine so it's possible to achieve clean lines. However, the applicator can pick up too much product which makes drawing a winged liner a bit challenging. I recommend applying with a liner brush by dipping from the felt tip when making cat eyes. All four color have a nice and smooth formulation; however, I found that they took too long to dry and they stung my lids just a bit. It's not super serious but while they are drying I can definitely feel a mild discomfort on my lids (even when applies over a shadow). The feeling goes away after the product dries. The Real Teal: This one is a beautiful metallic teal. 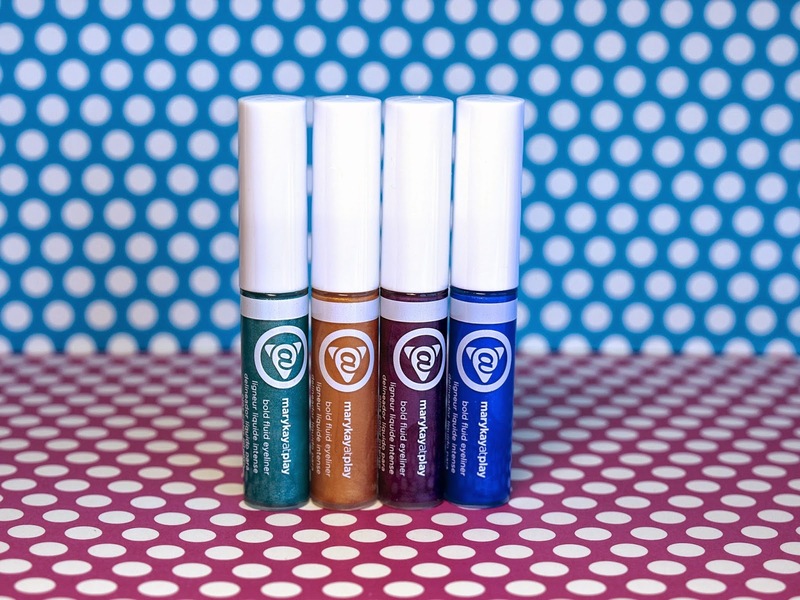 The pigmentation is super intense and it really gives the eyes a nice pop, perfect for the summer. Do be aware that this color leaves behind a green stain. 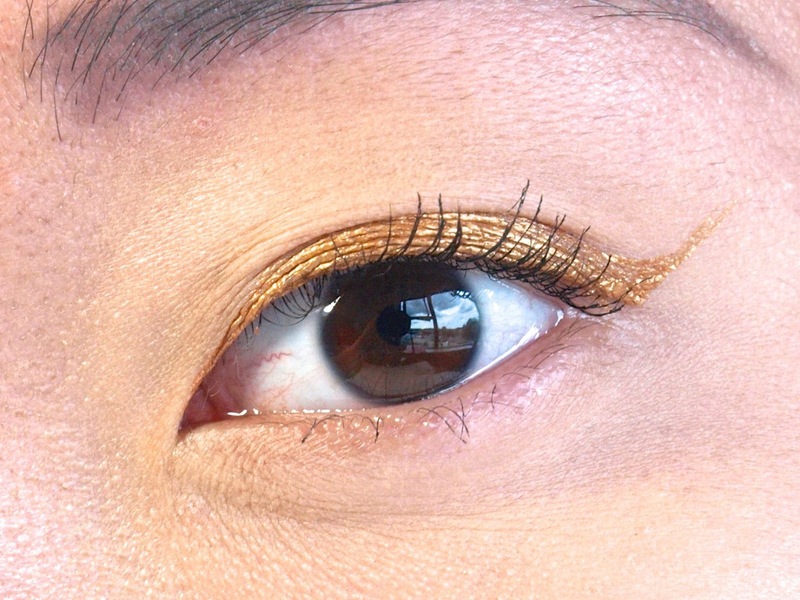 Gold Metal: This metallic gold has a very rich pigmentation but it didn't stand out as much as I wish it did. I think the color would pop a little more on paler skin tones. Hello Violet: This one is a rich purple with some metallic elements but when worn on the eyes it comes off more as non-metallic purple. The color is slightly sheerer compared to the first two and a few coats may be needed to obtain an opaque line. Blue My Mind: A bright blue with a subtle metallic shimmer, Blue My Mind is also a bit sheerer, just like Hello Violet. These liquid liners lasted quite well and didn't smudge at all. They also wash off fairly easily with some water and face wash, no cleansing oil needed! If you love bold eye makeup, you will really love these liners from Mary Kay At Play. The formulation overall was really impressive but I definitely prefer The Real Teal and Gold Metal over the other two shades as they are more pigmented and apply a little more smoothly and evenly. 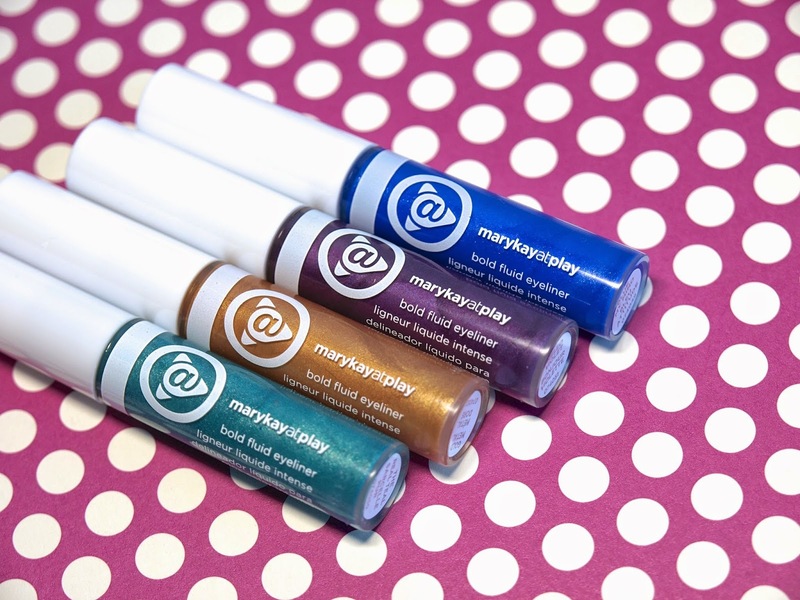 The Mary Kay At Play Bold Fluid Eyeliners are available online through a Mary Kay Consultant. What are your thoughts on these? 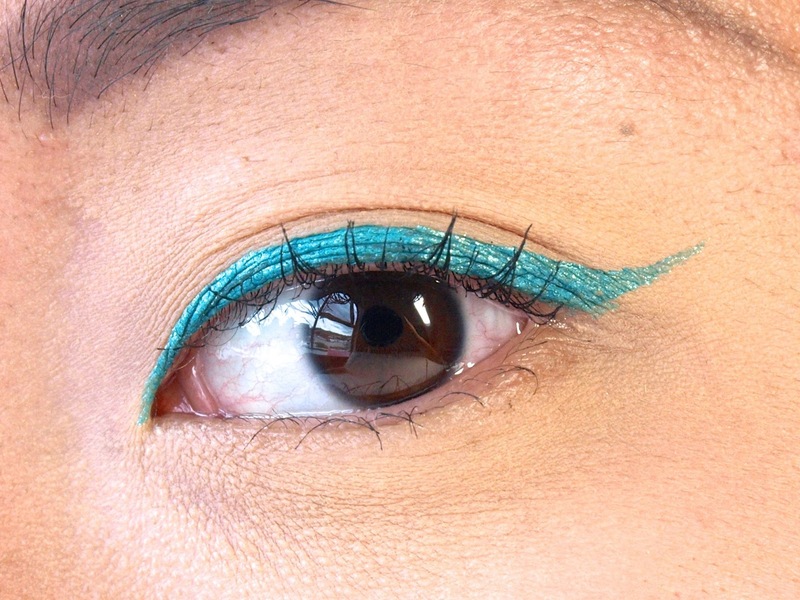 Would you rock a teal eyeliner? Let me know in the comments below! Have a good one!